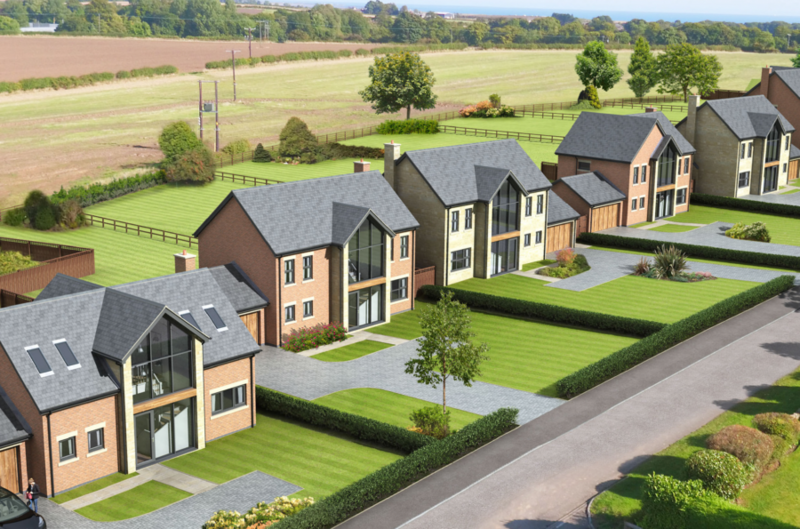 Our ongoing relationship with Lindisfarne Homes continued when they appointed Monument to provide project management and contract administration, in both pre and post contract phases, for the delivery of eight four-bedroom detached executive properties. We were required to successfully negotiate with the main contractor and produce contract documentation so works could commence on site. We also managed the process with building control and warranty provider, Premier Guarantee. Prior to a change in funding, we managed the information flow for the acquisition of funding from Homes England too. We are currently providing contract administration services for the client for the ongoing works on site. The works are due to complete in September 2019. To manage ongoing design issues during the delivery of the project, we continue to collaborate with the client-appointed architect. Monument initiated a change control process in the post-contract phase so the client was aware of the time, cost and quality implications of changes during the works. This, combined with a monthly project management report, meant the client was always aware of the potential final account of the project. Get in touch to see how we can work together to create beautiful residential environments.